Instead of “locks of love” or “toys for tots,” I am doing “knits for needs.” You are probably wondering…What are knits? and What are the needs? Well, I’m glad you asked! On October 9th and 10th, my talented, funny, witty, outgoing, thoughtful cousin and her friend are debuting Miss Mona’s Whimsy. Basically, it is a boutique that provides creative vendors a place to share their flare. The flare that I want to share is my knitting. I have recently taken up knitting, as so many of you know, and I want to make lots of little, distinctive baby hats to sell. So, that is what the “knits” piece is. Whatever money earned from this little project will go toward the CROSS project in Zambia. As many of you also know, Derek and I are pursuing going back to Zambia full-time with Action International Ministries to work with the CROSS project. It is a ministry focused on helping Churches Ready to Overcome Silence and Stigma in areas such as HIV/AIDS, domestic abuse, and broken marriages. Currently, there are two Zambians running the project, and they have had to go to part-time due to the lack of funding this year. So, the “needs” piece is funding for the CROSS project. If you know of anyone who needs (or wants!) 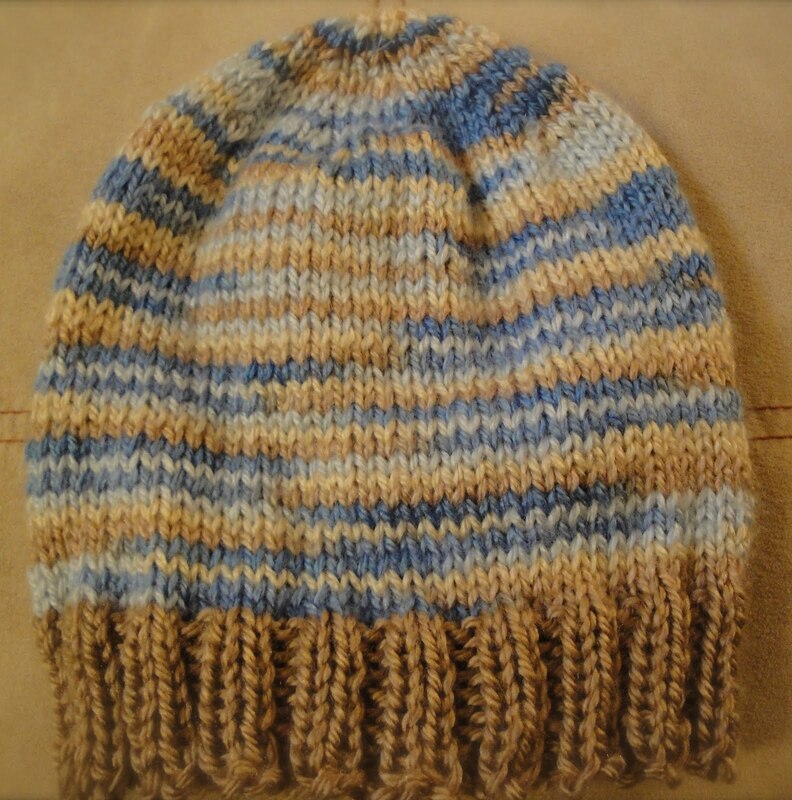 a cute baby hat, send them to Miss Mona’s Whimsy and know that proceeds will go toward a good cause! This entry was posted in Fun, Missions. Bookmark the permalink. Just getting caught up on my blog reading and saw this! WHAT A GREAT IDEA KRITZ! We'll have to put some good signage up and maybe a little place to donate???Yea! Very excited!